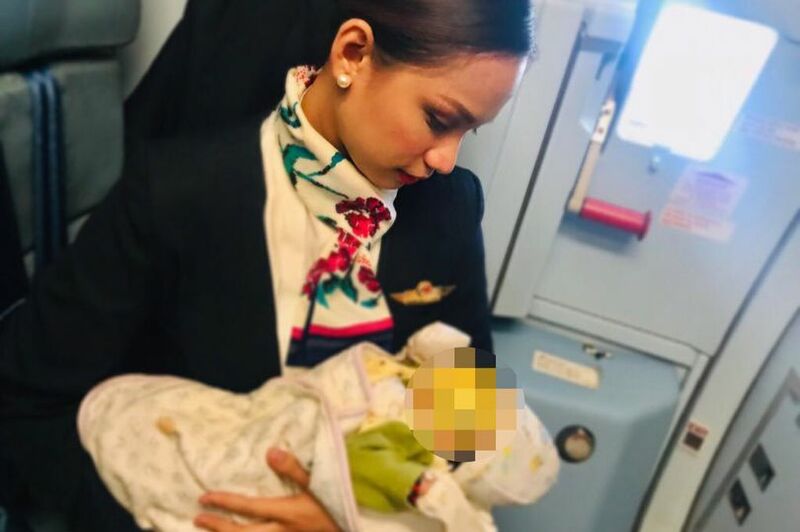 An air hostess was working on a 5.10am flight in the Philippines when she went out of her way to serve a passenger and her baby in one of the kindest ways possible. Patrisha Organo, 24, noticed the passenger’s baby was crying after the flight took off and approached them only to find out that the mother had run out of formula. The passenger and her baby had been at the airport since 9.00pm the previous night, and Patrisha stepped in to help by breastfeeding the baby. Patrisha, who is the mother of a 9-month old told Daily Mail that she knew the stress the passenger would have been going through, and offered to help. I could only imagine the chaos of those feelings, but as a mother myself I knew the stress she would’ve been going through. The helplessness you feel when you cannot feed your hungry child is horrible, so I had to step in. She had been at the airport since the night before so had ran out of milk during the actual flight, which is what caused the baby to cry. 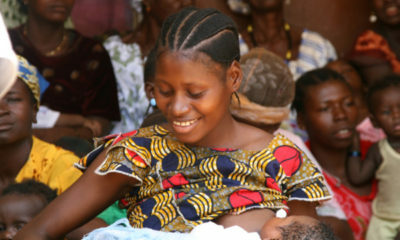 As soon as I could help the baby and the mother I felt so happy – I cannot put into words how fulfilled I felt. This left me teary-eyed. The airhostess is super awesome – Showing up at work with all that positive vibe from a promotion and going all the way to breastfeed a stranger’s baby has to put you on a whole new level. Talk about being a mother not just to your own biological breed. Pardon my ignorance. 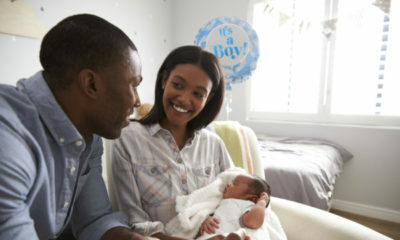 Does this not pose any health risks to the baby? No greater risk than hunger-induced death, I would imagine. Google wet nurses. This has been a common practice for thousands of years. So you brought your baby on a flight and did not have food for it?? Really? ?what of if the stranger did not have breast milk or what if she has a disease now ehn?! Nonsense! Example of how to an irresponsible parent 101. Do not have kids when you are not ready and can give them the very basic AKA food.Mstchew! @Moreni, I hope you know that life is what happens when people are busy making other plans. You don’t know what the circumstances were surrounding her not having food for the baby. Like the write-up said, they had been at the Airport since 9pm, and by 5am, she had run out of food. What if she was significantly delayed at the Airport before the flight? What if she accidentally put the baby’s food in checked-in luggage? What if she could afford no more formula? Just be careful how you label someone an irresponsible mother. That is one of the most hurtful things you could tell a woman. You were not there when she carried the baby for 9mos. You were not there when she stayed up all night making sure the baby was comfortable. 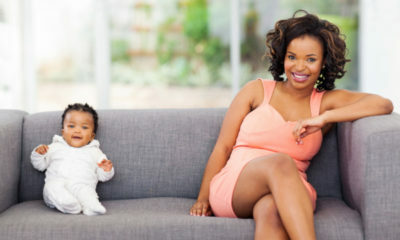 You were not there when she was a Superwoman, juggling the baby and a career, just so she can afford the formula for the baby. And you were not there for a lot more than that that she did and will continue to do for her baby. So one slight lapse either as a result of circumstances or poor judgement does not define her ability to parent her child in a responsible manner. @Moreni…I wonder oh. Sorry oh, that baby will drink ? orange ? juice and water or coke/Fanta with water before I allow a complete stranger breastfeed him or her. It’s not as if flight attendants carry medical health clearance certificates around that person will be able to vouch for their health.